The Delhi State Consumer Disputes Redressal Commission bench imposed the hefty amount on the private hospital saying this may serve the purpose of bringing about a "qualitative change" in the attitude of hospitals of providing "service to the human beings as human beings". 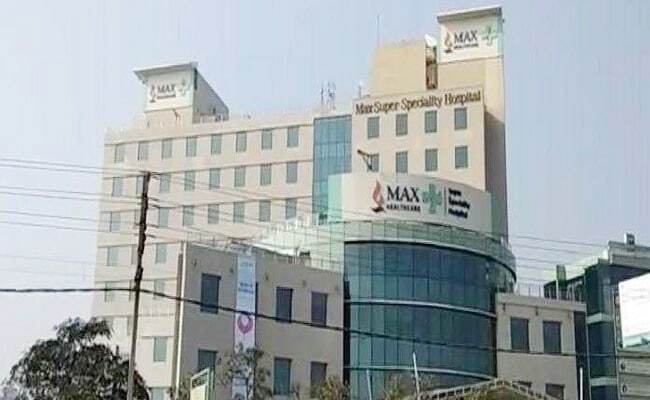 New Delhi: The Delhi state consumer commission had directed the Max Hospital in Delhi's Pitampura area to pay Rs 30 lakh to a 10-year-old boy and his parents for negligence at the time of delivery leading to permanent abnormality in the child's left arm. The commission awarded a compensation of Rs 20 lakh to Sonepat-based Ritesh Kumar Garg, Aarti Garg and their son Kush Garg for the suffering, mental pain and agony caused to them. Besides this, it also directed the hospital to pay Rs five lakh to the mother as incidental expenses incurred from the time she was admitted for delivery till the child's check-up at a hospital in Mumbai and another Rs five lakh to them as litigation cost. "This may serve the purpose of bringing about a qualitative change in the attitude of the hospitals of providing service to the human beings as human beings. "Human touch is necessary; that is their code of conduct; that is their duty and that is what is required to be implemented," a bench of member (judicial) O P Gupta and member Anil Srivastava said. It said proper and due care was not exercised while conducting the woman's delivery leading to shoulder dystocia (when baby's head passes through the birth canal and their shoulders become stuck during labour) resulting in permanent disability. "The negligence on the part of the hospital is writ large of the face and is established...," the commission held. The parents had approached the commission alleging medical negligence on the part of the hospital at the time of delivery, damaging the neuro motor functioning of the child's left arm. The child was born at the hospital on June 5, 2007, and the doctors had claimed that everything was fine but soon after the birth, abnormality was discovered in the child's left arm allegedly due to crude and violent pulling of baby. The parents consulted various other hospitals but the damage could not be rectified and the child showed no improvement, the complaint said. The hospital, however, claimed that the allegations of negligence and deficiency of service were false and baseless. It also maintained that the doctors had taken the utmost care and due precaution in handling the delivery of the baby and no malfunctioning in the child's left arm was discovered at the time of delivery.